My newest crochet pattern that I designed is called the Egg Head Mannequin pattern: you can access this pattern HERE. The pattern uses #21 Twisted Nylon Seine Twine. You might ask where in the world do I find that?? Well, it’s easily found online on sites such as Ebay or Amazon. You can also find this type of twisted nylon twine at Marine shops for ‘netting’ products for a fairly affordable price. I like to use nylon twine because it not only provides a firmer finished product, it can be hardened using products such as Ceramcoat by Delta; an All Purpose Sealer. I use this product as the initial hardening process and Ceramcoat also helps acrylic paint adhere to the nylon. I then use a few coats of Mod Podge glossy sealer. Hardened crochet mannequins are very durable and will last decades upon decades; plus they are 100% handmade! 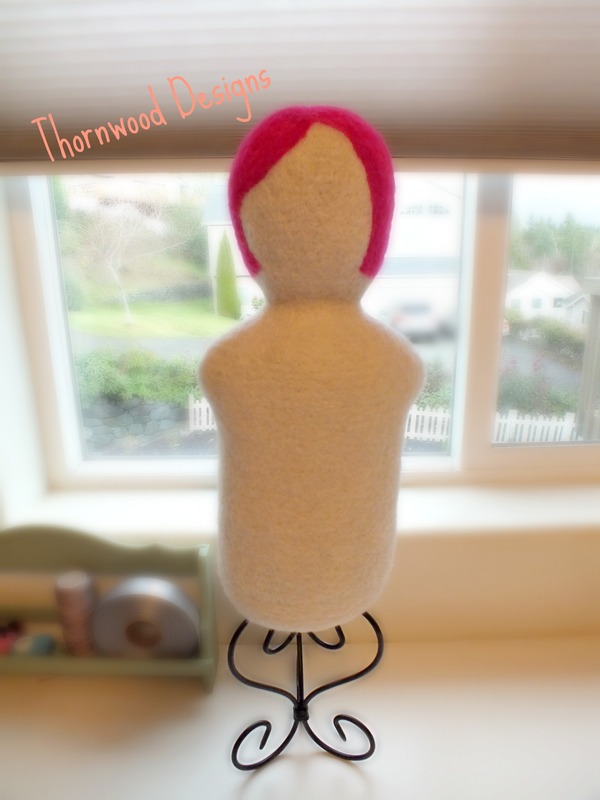 You can find my pre-made Ready to Ship mannequin heads in my Etsy shop Thornwood Designs. I will be posting tutorial videos here on my blog that will assist you in creating the mannequins in my patterns! Please visit my Etsy shop for my latest patterns and creations. 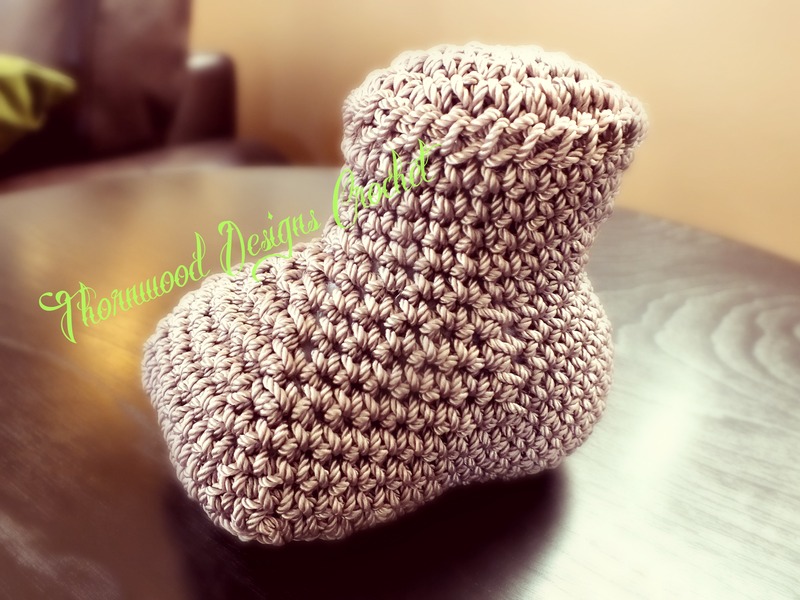 Click HERE for the PATTERN ONLY link. 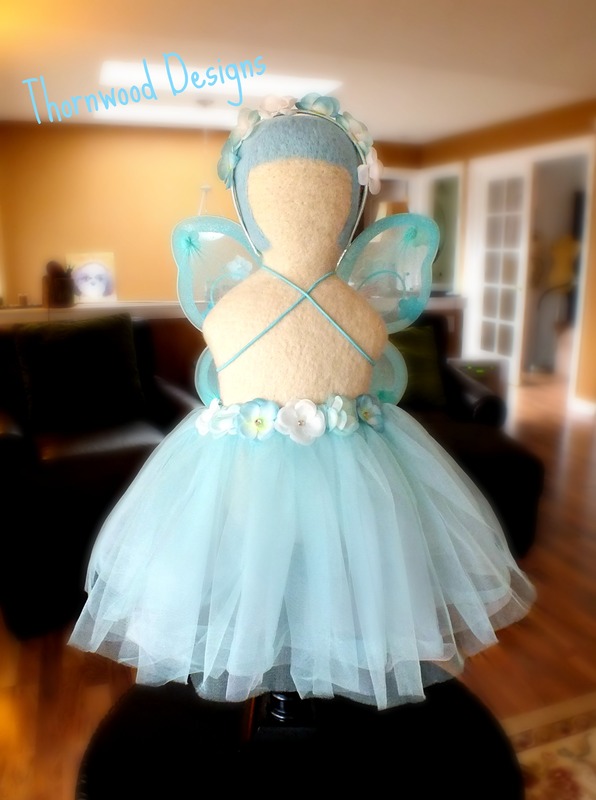 She is $80 with FREE SHIPPING within the U.S. I also offer baby mannequin crochet patterns for the one seen below (without the head). Check out my Shop and start crocheting! I know it’s July and most aren’t likely ready to even think about the fall season, but now is the time to start planning and creating your fall crafts! Each year I always think, “Soon. I’ll start creating fall items for my Etsy shop SOON.” Yet, each year I fins myself late to the game and totally unprepared to list any fall themed items in my shop. If this is you too, then let’s start the planning and creating process now. The fall season is a time when sales for the upcoming holiday season starts ramping up. 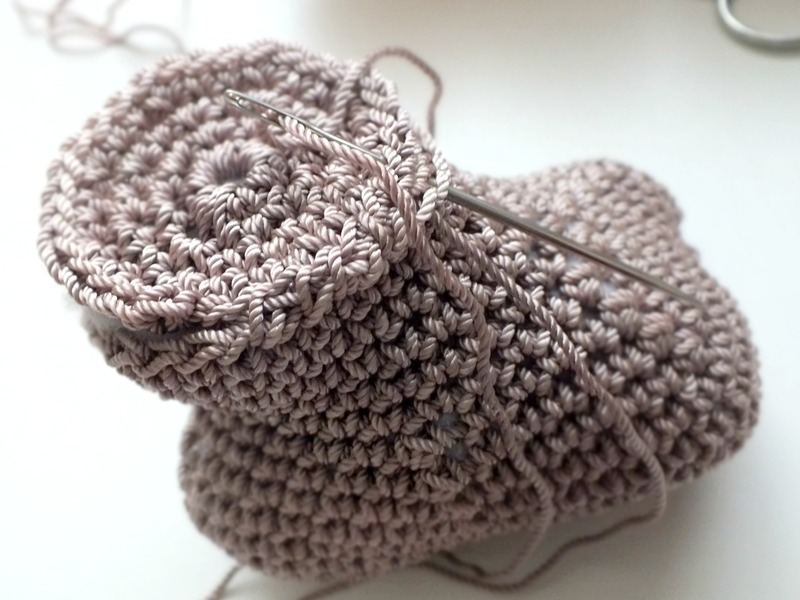 I find that most of my years sales for my crochet patterns and projects occur from early September to late November. Let’s not underestimate the retail power of Halloween! People love this kitschy holiday and for retailers and crafters, it’s a goldmine of opportunity. July is the perfect time to start your planning and creating process. What new patterns or templates are available for your craft? What materials will you need to create X number of these items? How many of each item do you want to create or need to create to offer to your customers? All of these questions answered will give you a head start in the prep for the fall and holiday season. 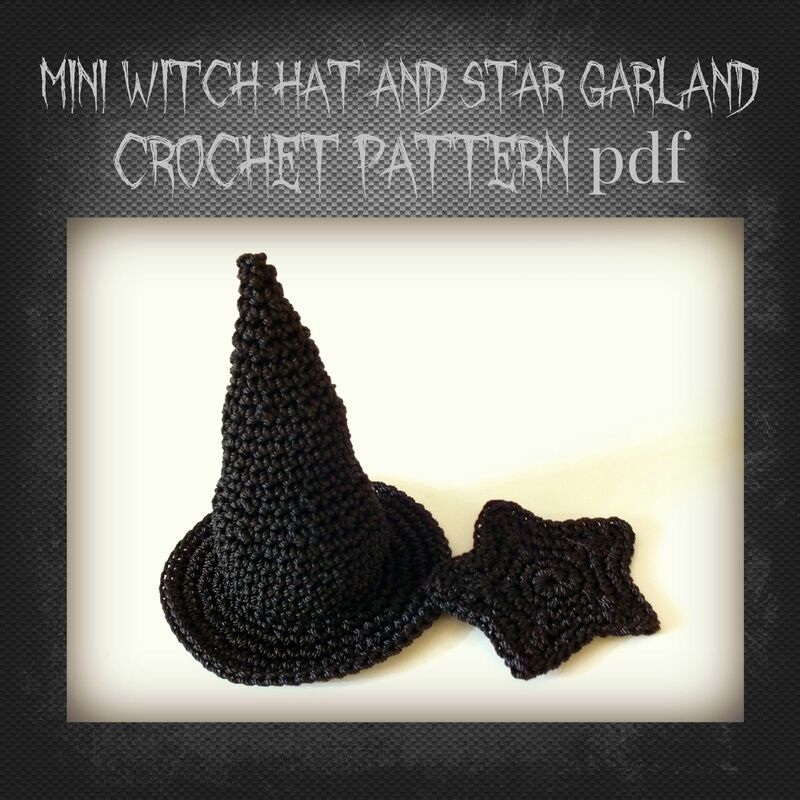 Take a look at my Witch Hat Crochet Pattern: link below. Please check back soon for the newest revised version that will offer tips and methods for hardening the witch hat for a more refined and stable hat! So get your planning on and start crafting for fall NOW! This will put you in a nice spot and prepared for the ramping up for the upcoming fall and holiday seasons. I designed this crochet pattern of a primitive style witch hat: you can make in 4 different sizes. The completed hat can also be used as part of a Halloween display for your Fall/Halloween decor. This is a new pattern I designed: A Primitive witch hat crochet design with a little star. You can make a number of these then string them together to create a primitive Halloween decoration. 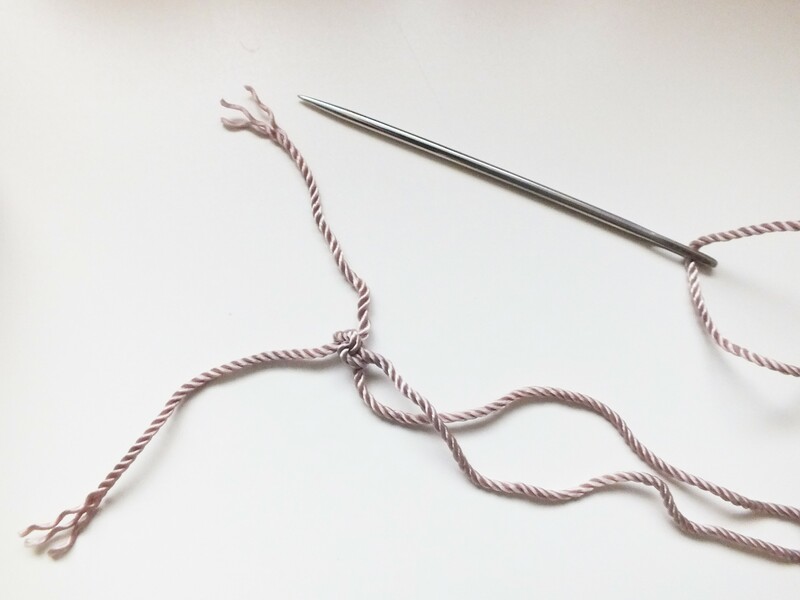 Materials Needed: recommended – 2 or 3 skeins of Black size #18 Nylon Crochet thread (Red Heart brand is easy to crochet with), or use black Medium weight acrylic or wool yarn, crochet hook (size E or size you prefer), yarn needle to weave in ends, and a stitch marker. 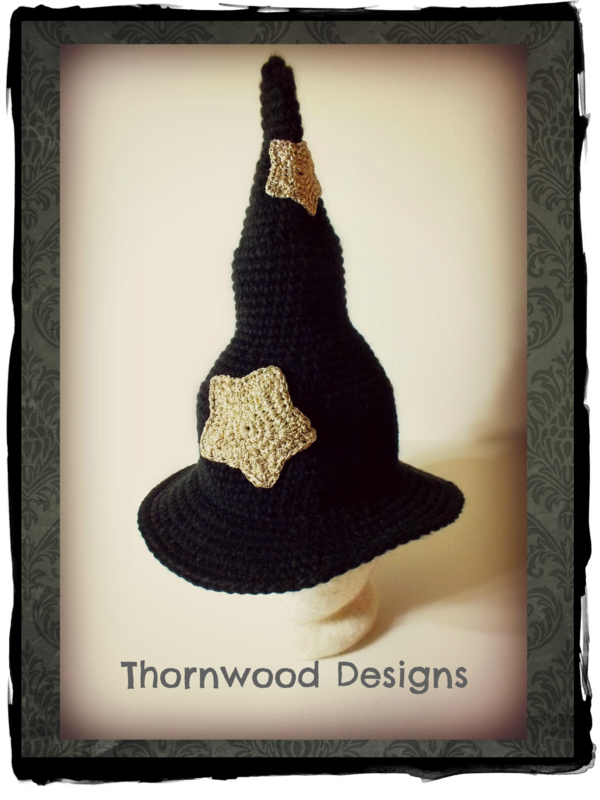 size: about 5.5 inch tall witch hat, and a 2.5 inch star. 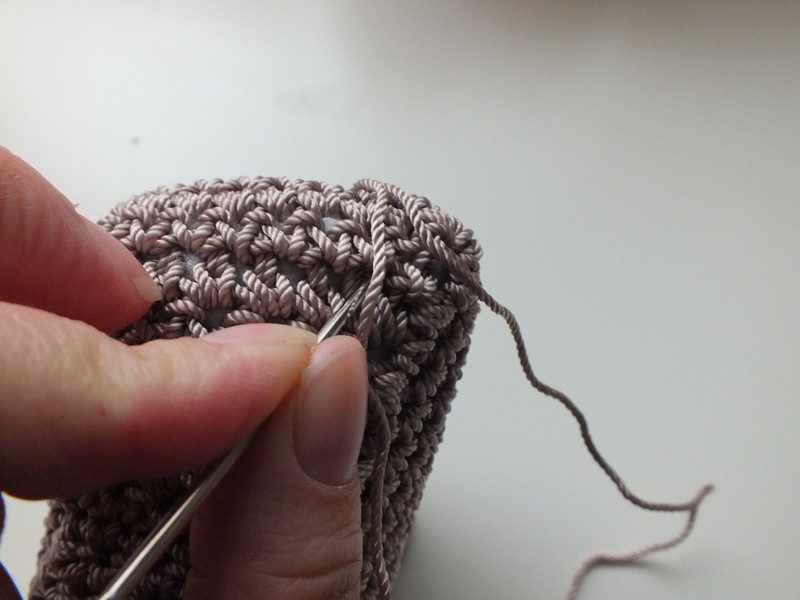 Stitches: increase, decrease, triple crochet, single crochet, slip stitch. Pattern is worked in the round, spiral. This is a handcrafted Item. I like to consider this a Folk Art baby mannequin. I want to create items that can be here in our world for years to come. I truly enjoy creating these; and each one is made with love and care. Each of my dress forms are created from my original pattern. I crochet the mannequin using a nylon crochet cord. I stuff the item with a high quality firm polyester fiberfill. The mannequin is attached to a black metal stand. 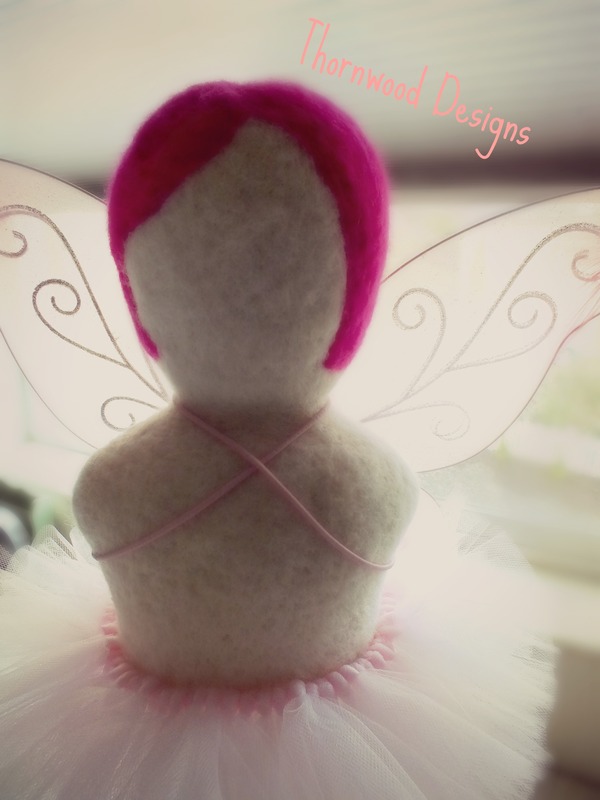 I then spend many hours doing a needle felting process using 100% wool which creates a lovely folk art felted appearance. I used a slightly off white for the face and body, and a bright lovely fuchsia for the hair to add a unique interest to the mannequin. The measurements of the mannequin will be approximately 19″ circumference around the widest part of the shoulders, approx. 18″ circumference around torso, and torso measures approx. 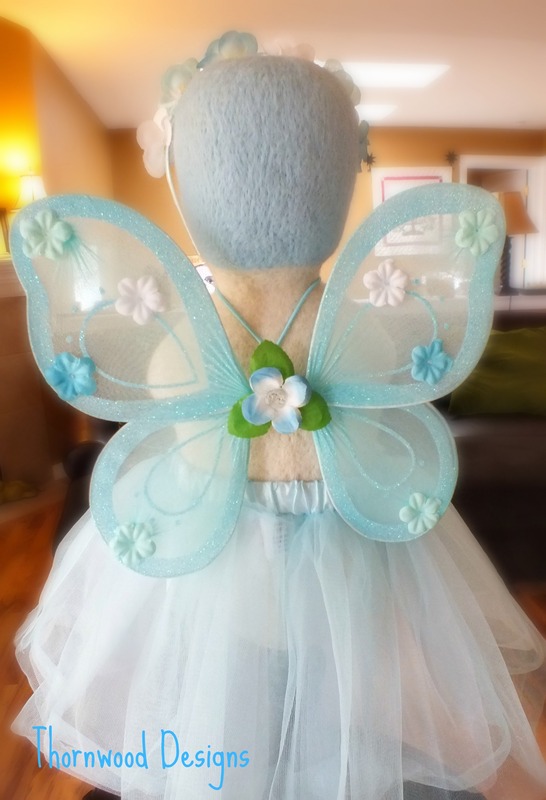 11″ in length from bottom of neck to bottom of torso, and about 17″ in length from top of head to bottom of torso. The height of mannequin with attached stand is approximately 28″. The head part of mannequin is about 15″ circumference. 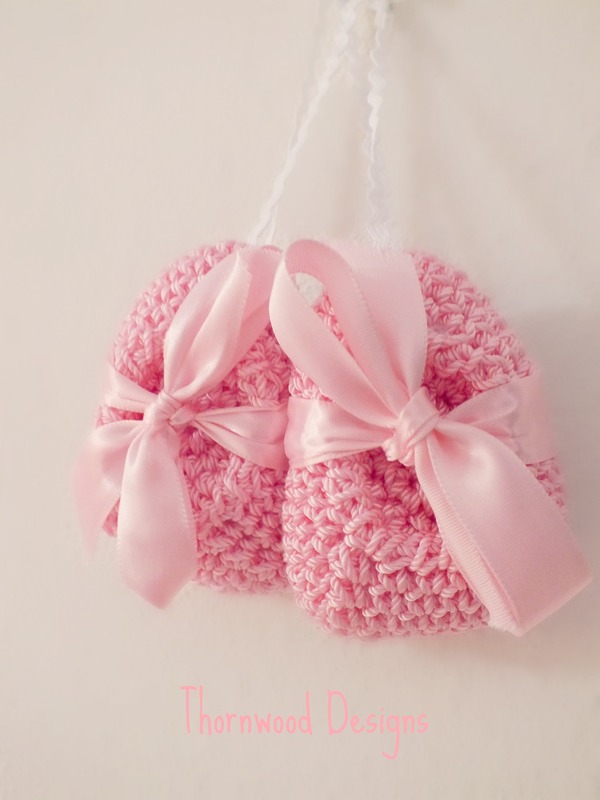 You can use the Baby Foot pattern to create these darling little pink ballet slippers ornament. 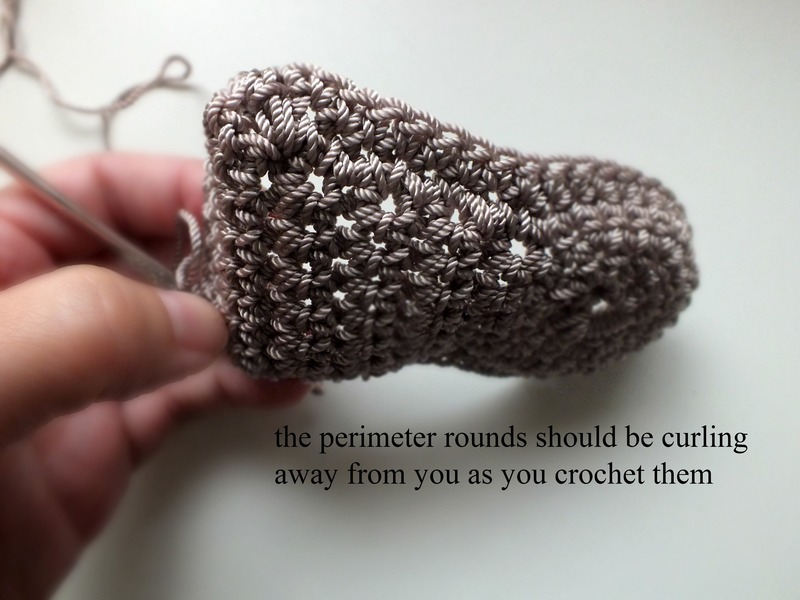 Crochet using the same Baby foot pattern, but only complete about 4 or 5 of the PERIMETER rounds. End, weave in tail. Then……..stuff them with the fiberfill. Make the top of the foot section, but make slightly smaller so it covers the top of the ballet slipper ( I like it indented downward toward the sole of foot). 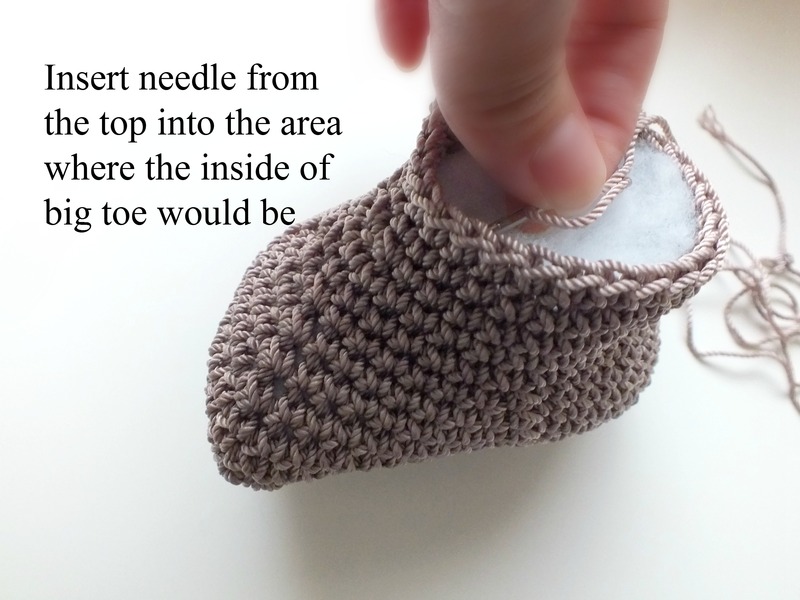 Sew the top section onto ballet slipper using yarn needle. 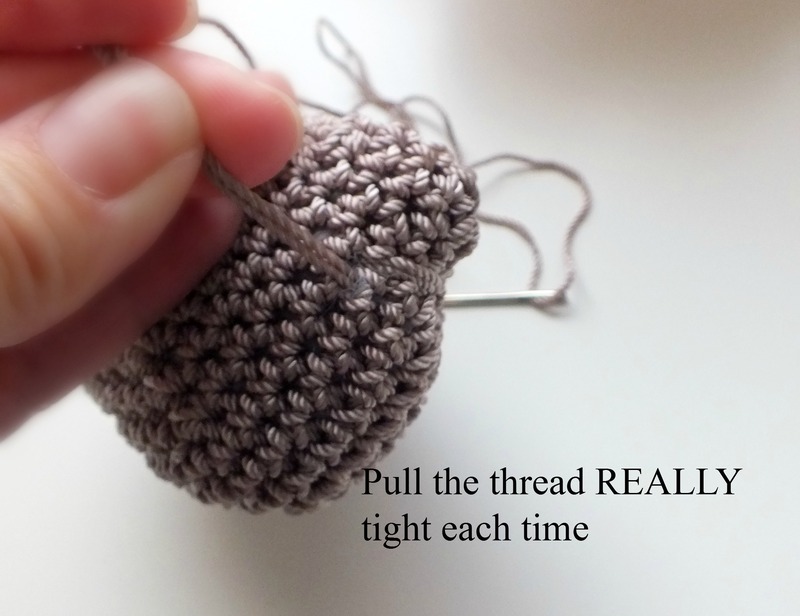 Then……..get some ribbon and thread it into a large yarn needle. Insert the ribbon into the bottom of the foot as shown in picture (see picture below). Then…….tie up the ribbon as seen in picture, into a bow. I like to shape the slipper into more of a ballet shape (firm fiberfill is best for this project). Then you can add some other type of string or ribbon to use to hang the ballet slipper ornaments. ©Copyright 2014 Natalie Sovde. All rights reserved. No part of this document may be reproduced or transmitted in any form or by any means, electronic, mechanical, photocopying, recording, or otherwise, without prior written permission of Natalie Sovde (Thornwood Designs).